4/5 Every interest of a child is seen to, and the best opportunities are set forth for children depending upon their talent. The school promises a good balance between cultural activities, sports and studies. 1/5 My wife was made to wait for almost 2 hours but wasnt allowed to meet the concerned teacher who would attend to my child!!! Sad set of affairs with staff showing attitude to parents and not being courteous to parents who want to meet the teachers or head mistress. Arent we as parents entitled to this? 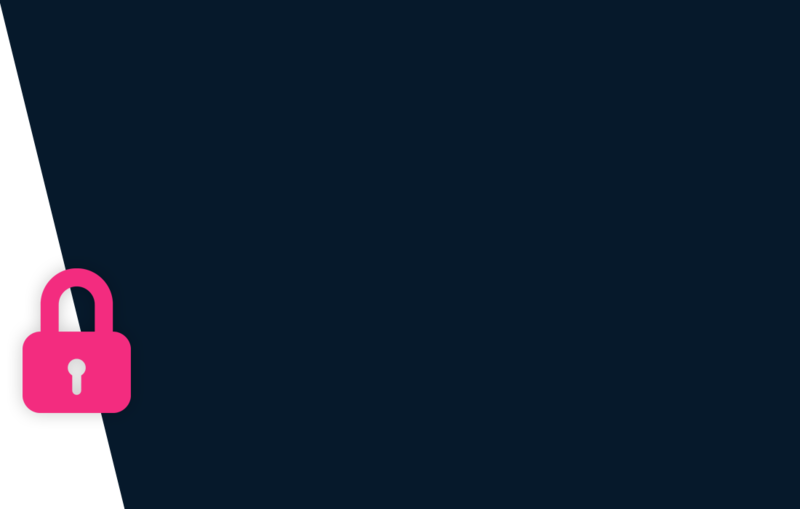 To add more, the marketing person made a mockery of my wife over the phone and hung up without resolving the issue. Have also heard from sources that the school still hasnt got the due affiliation. Popularly referred to as Narayana eTechno School South City 2, Narayana E-Techno School Sector 49 offers Nursery, Kindergarden, Primary School, Middle School and High School and proposes to be affiliated to CBSE. This Private Co-Educational School in Gurgaon was founded in 2017 and is located in Sector 49. Checkout Narayana eTechno School Sector 50's exact location and address at the school pointer on the map section. Pankaj and 14 other people have rated this school. This school was last reviewed on 21 Jan 2018 and first reviewed on 12 Jan 2017 at SchoolWiser. The overall experience with Narayana eTechno School South City 2 based on the ratings left by users so far seems to be fair but the sample size of the ratings is insignificant. The ratings suggest that the school offers a lot in terms of the Academic Rigour. It also scores reasonably on Classrooms, Transport & Safety and Hygiene. Though parents may seem to have some reservation over Instructor’s Competence. Checkout detailed ratings and reviews below for reference but do exercise your best judgement. Asia’s largest educational conglomerate with 2, 83,275 students, 31,257 employees in over 549 centers spread across 13 states; Narayana is the pride of India. Narayana group consists of 300 plus Junior Colleges and 200 plus schools, Medical, Dental, Physiotherapy, Pharmacy, Nursing and Paramedical colleges along with 3 Engineering colleges.With three and half decades of experience in enriching millions of students’ lives in Andhra Pradesh, Telangana and other Indian states, Narayana set out to extend similar educational technology to the students of West Bengal. The child needs to be minimum 2.5 Years as on 31 March 2019 to be eligible for Pre-Nursery admission. School Admission applications can be made Offline at the school. Originals and copies of the following documents are typically required for processing application of admission: Color Photo (passport size) and Birth Certificate. New academic session for the school starts from April. You can find further details below for reference on admission eligibility and application for Pre-Nursery and Higher Grades in the section below, but we strongly recommend that you check the school website for most accurate and up-to-date information. 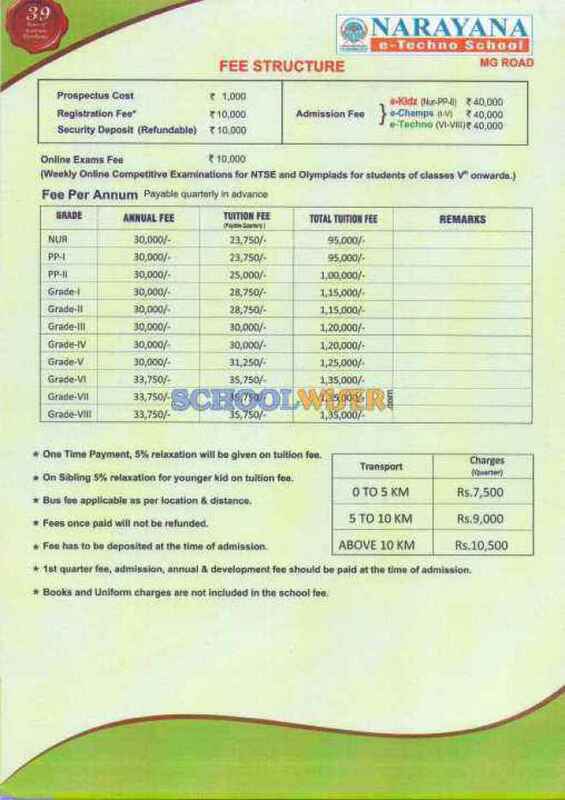 A detailed fee structure & complete breakup for Narayana eTechno School South City 2 is provided below for reference. The objective of the fees details below is to provide an economic reference point for parents to understand approximate expense for this school and evaluate affordability based on their current circumstances and for the long term. For parents admitting their children in admission session 2019-20 at Narayana eTechno School Sector 50 the total school fees for the first year including all admission related charges for Pre-Nursery but excluding transport fees shall be around Rs.1,46,000. This includes total One-Time Admission related Charges including Refundable Security of Rs.21,000. For parents continuing in the school from previous years, the effective annual fees is around Rs.1,25,000 i.e. approx. Rs.10,416 per month or Rs.31,250 per quarter without transport fees.